Although its natural stain resistance, beauty, and durability may surprise you, there's nothing shocking about the naturally static-free comfort of wool carpet. However, the first consideration in wool carpet is where the wool yarns originate. 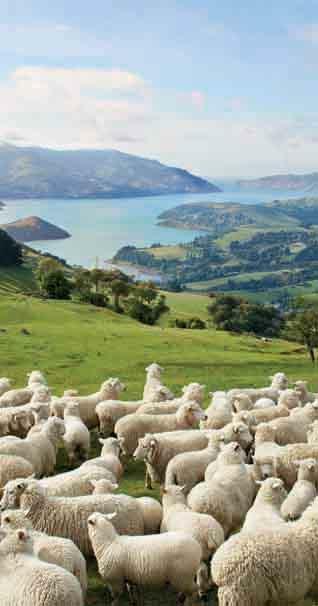 Industry experts consider New Zealand wool to be the finest available for carpet manufacture. Once you feel it underfoot, it's easy to understand why. And once you see how Glen Eden combines old world craftsmanship with the most advanced American technology to weave such warm and colorful magic, you’ll find the end product as irresistible as the source itself. Those with a sense of style and value choose wool carpets and rugs because wool simply looks beautiful, longer. Wool ages gracefully while synthetic fibers may not. And New Zealand wool is the whitest, cleanest, purest wool in the world.